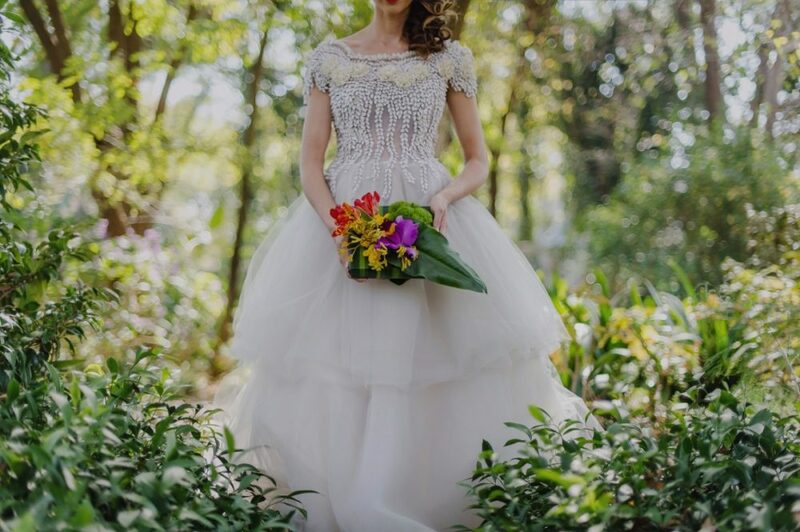 As featured on the SouthBound Bride. 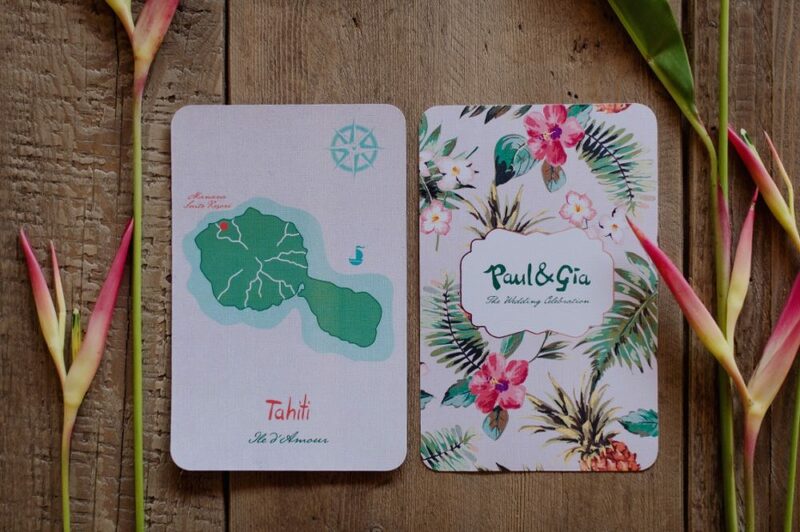 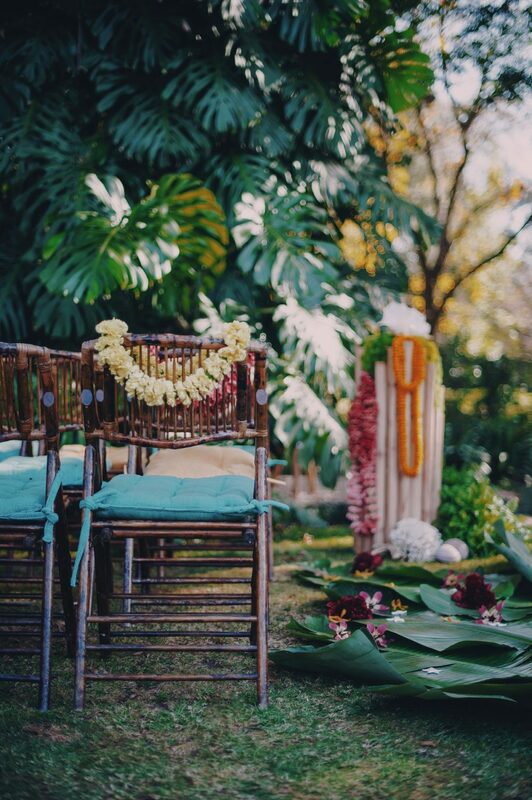 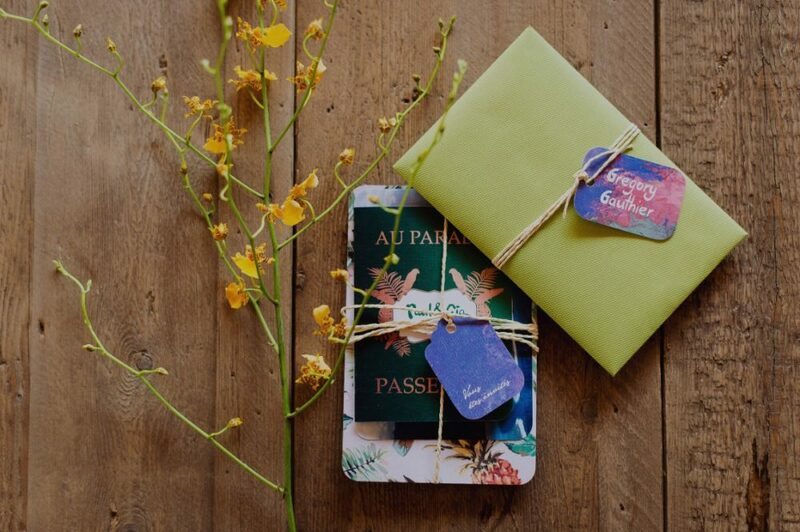 Join us on a Wedding Destination journey to Polynesia and the islands that inspired the famous artist Paul Gauguin. 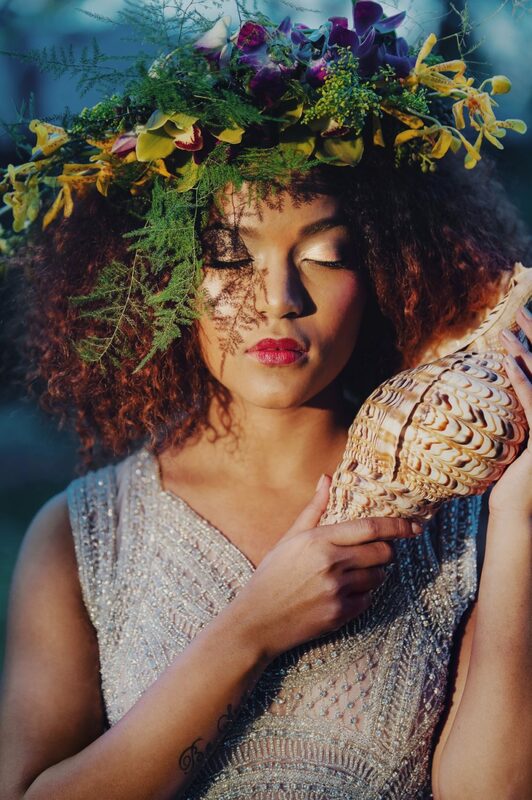 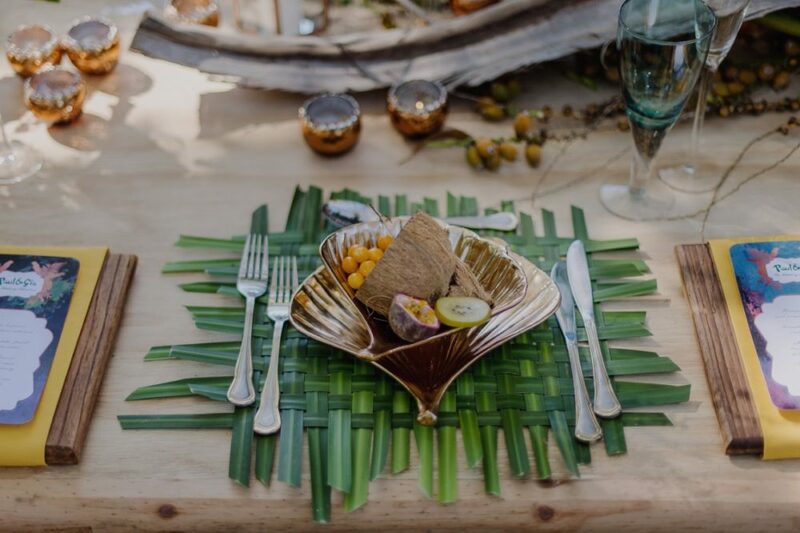 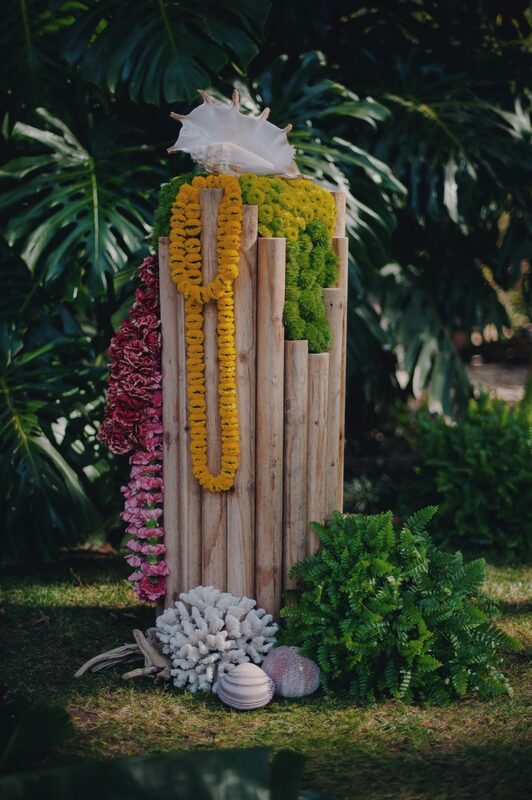 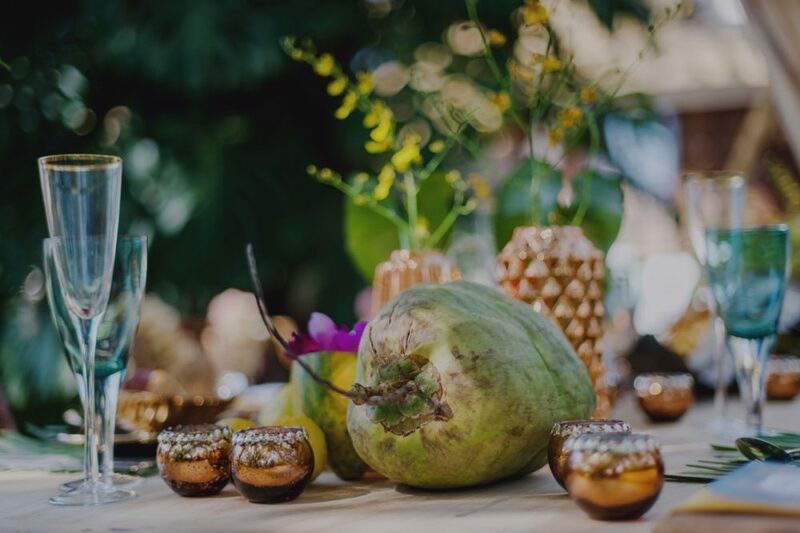 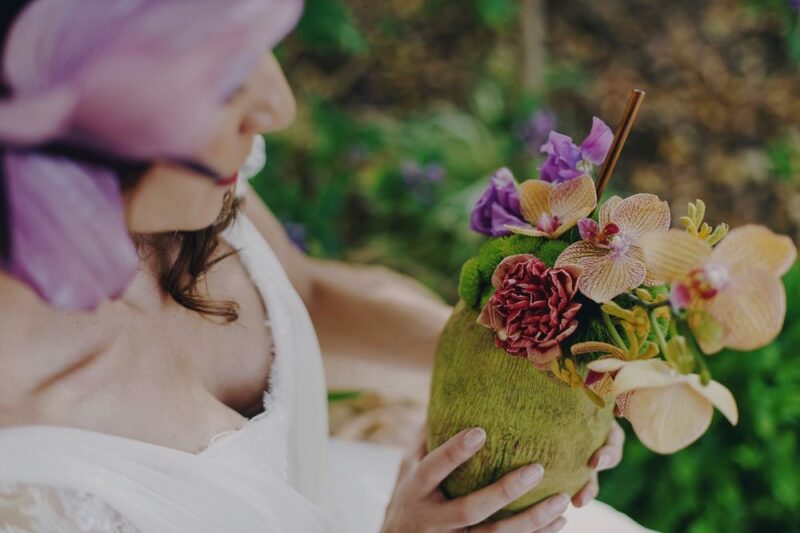 We combine beautiful exotic island flowers, shells and a vibrant colour palette to bring to life this beach and forest theme perfect for a luxury wedding or a simple special celebration. 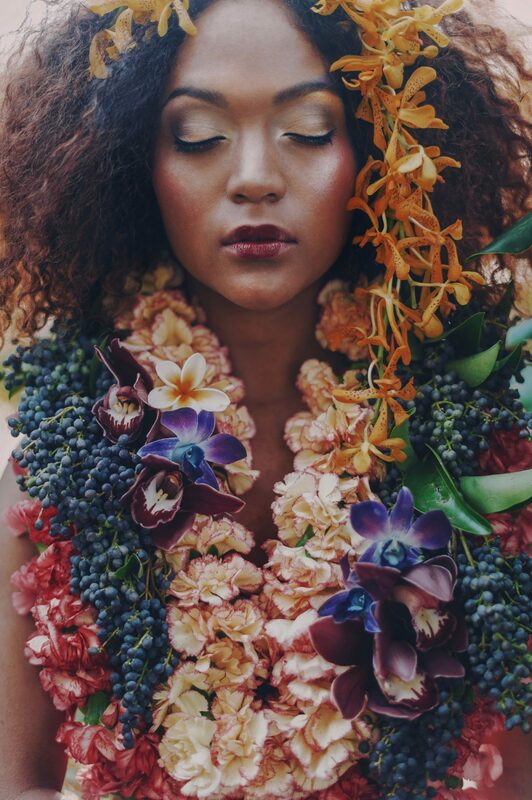 The inspiration for this look. 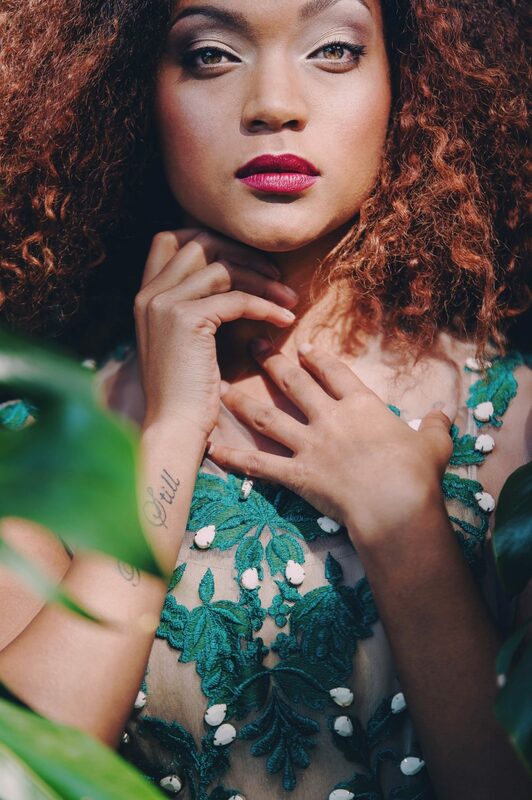 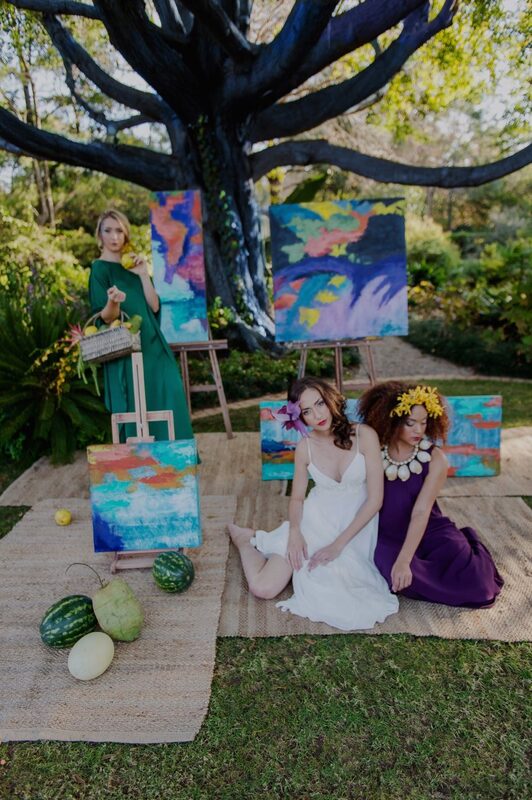 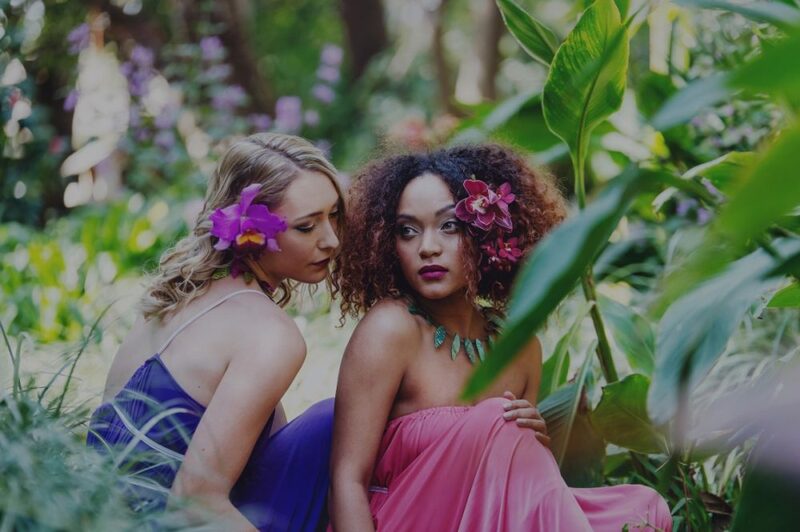 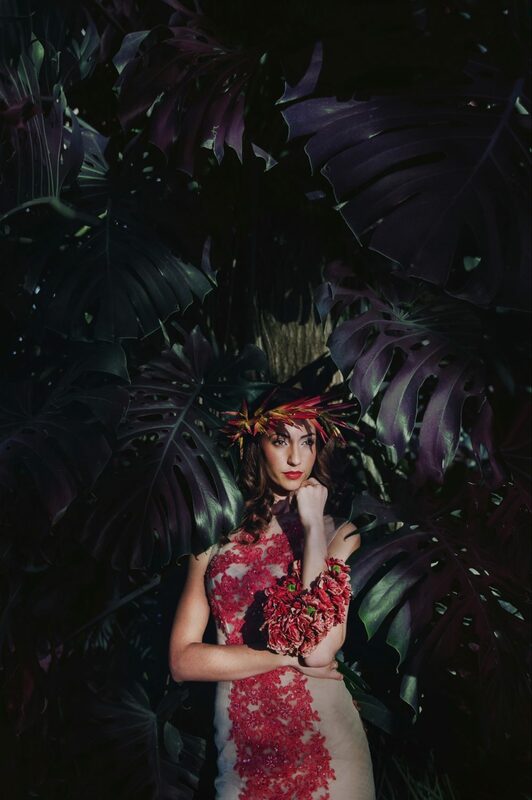 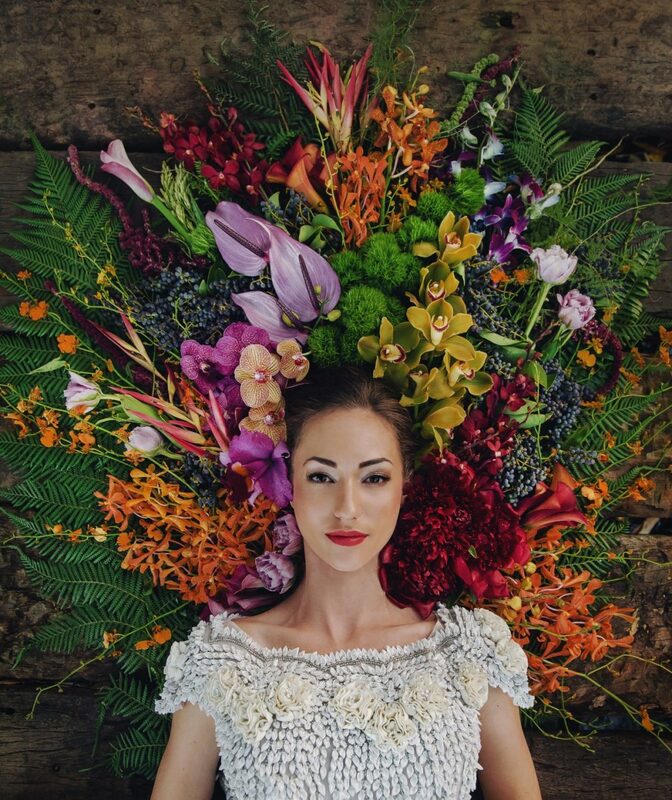 The shoot was inspired by a deep forest setting and the tropical paintings of the artist Paul Gauguin. 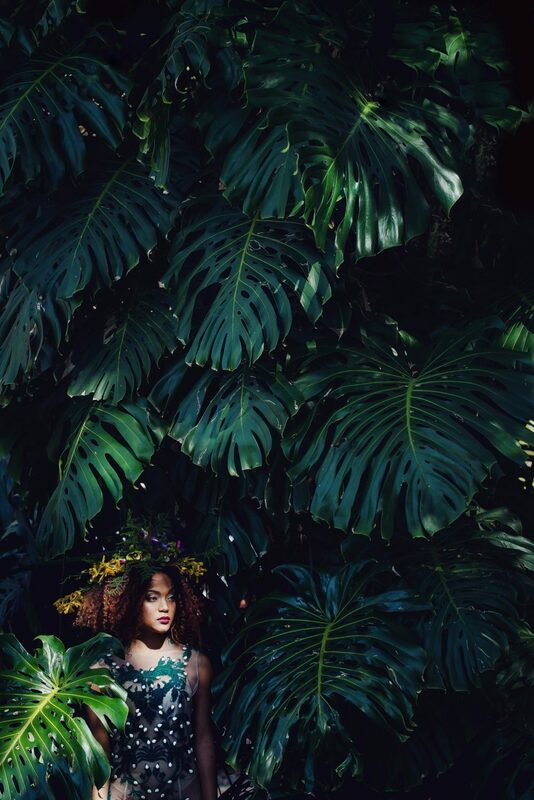 I have always enjoyed the very naïve – half naked depictions of beautiful polynesian ladies posing in very simple clothing with beautiful fruits and shells. 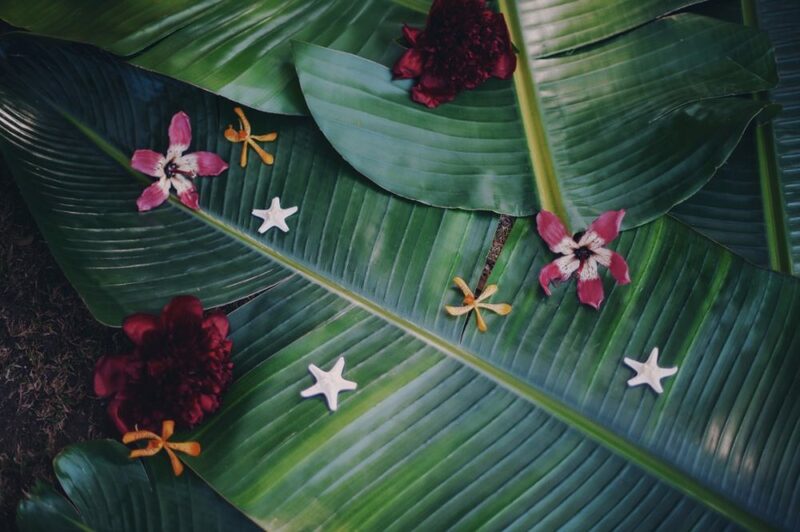 The simplicity of the images, the radiance of the colours and depiction of island life has always appealed to me and my senses. 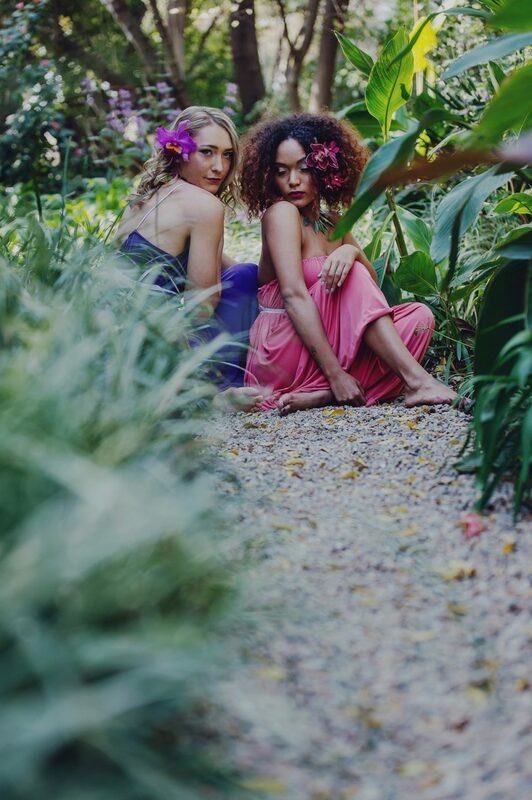 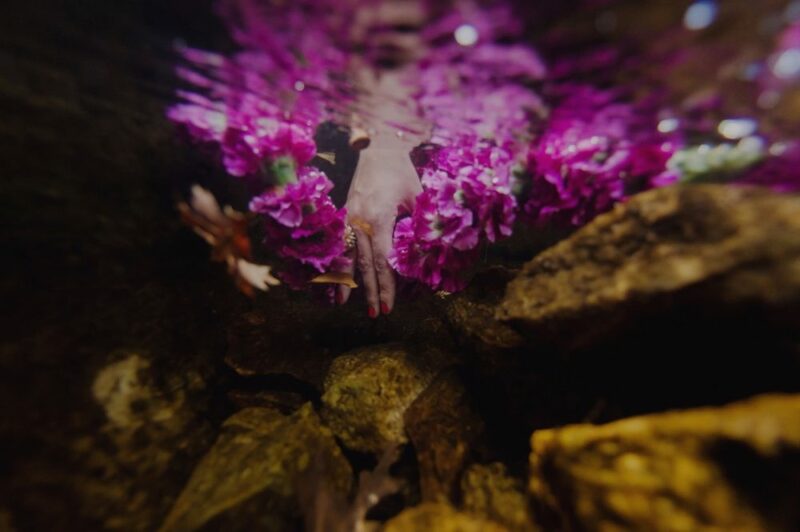 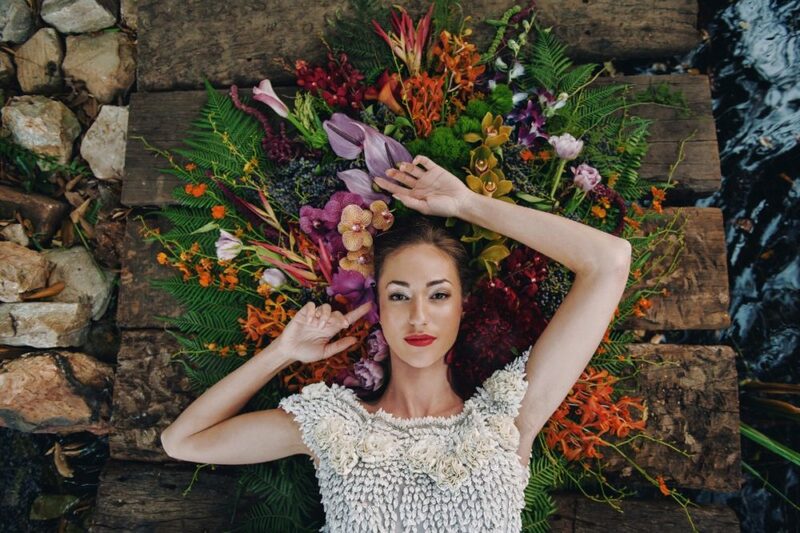 For this shoot we wanted to capture raw fine art images of beautiful, natural ladies posing in “Gaugenesque” ways – capturing their natural beauty and the beauty of their surroundings. 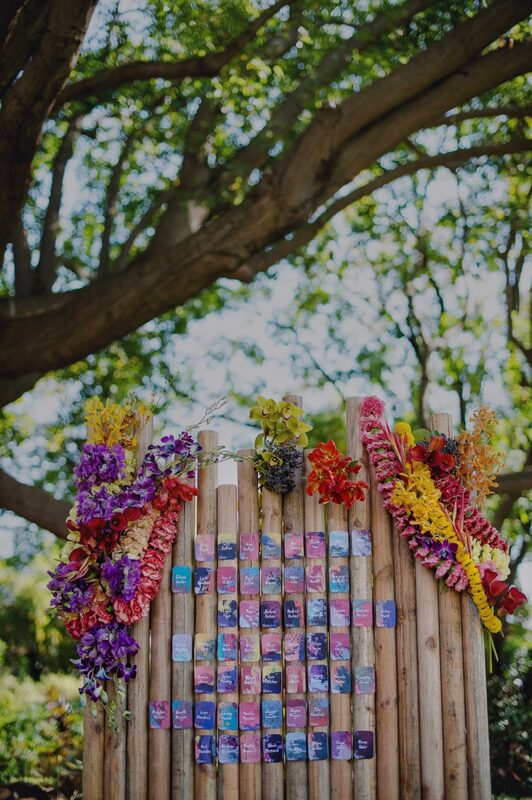 The colours are vivid and striking and we used flowers, shells, canvas paintings and paintbrushes to tell the story. 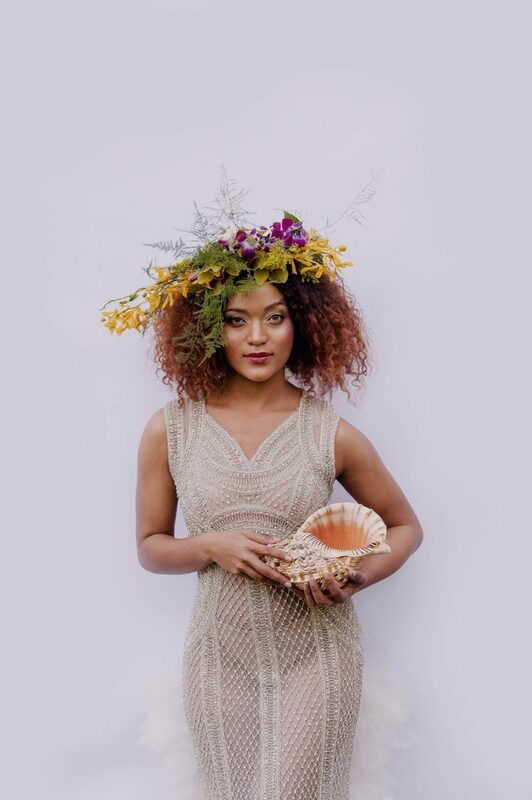 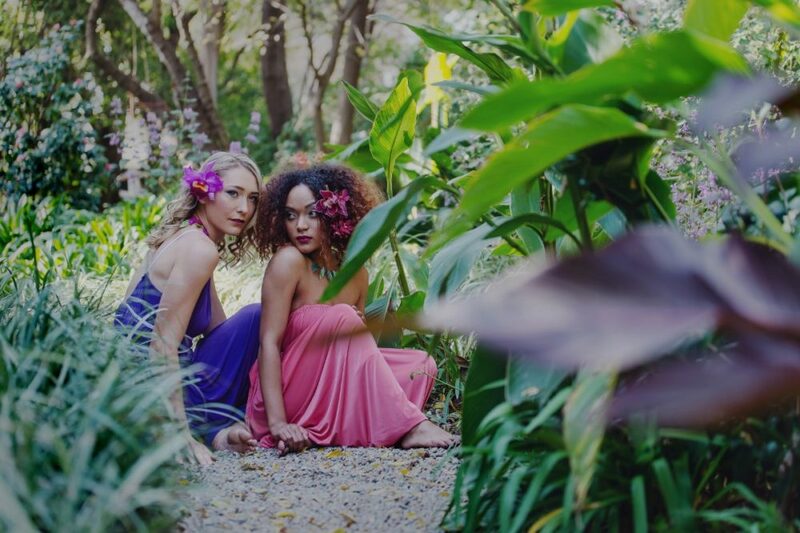 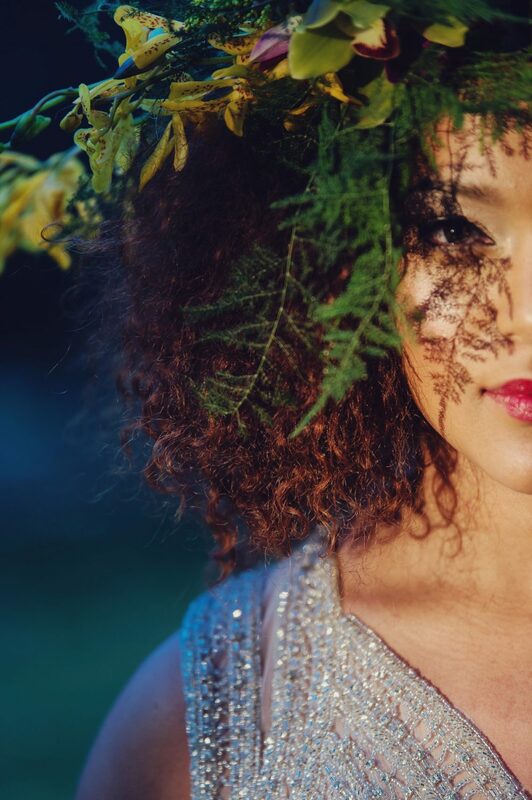 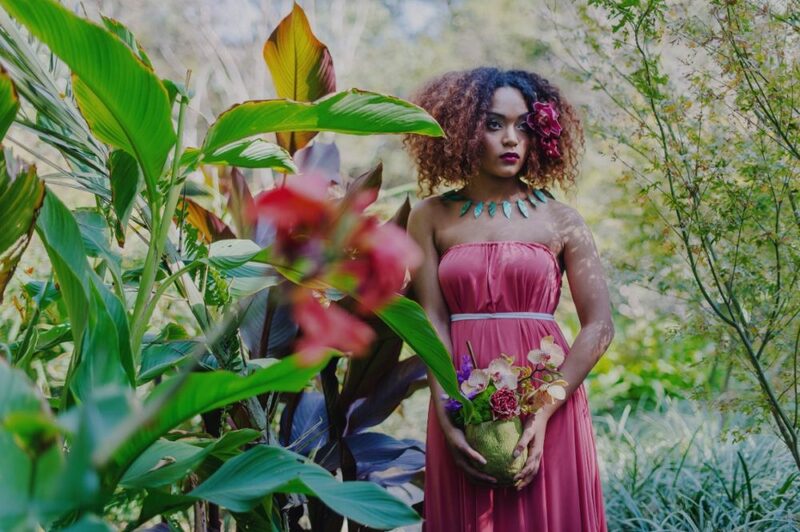 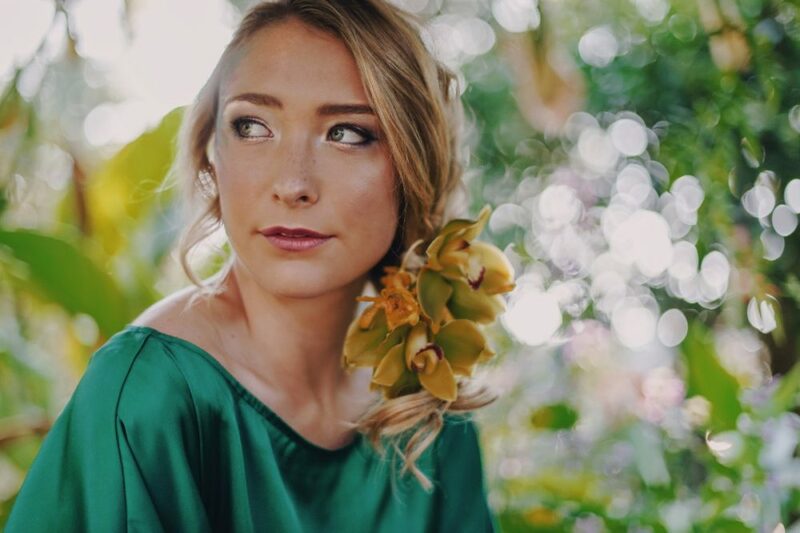 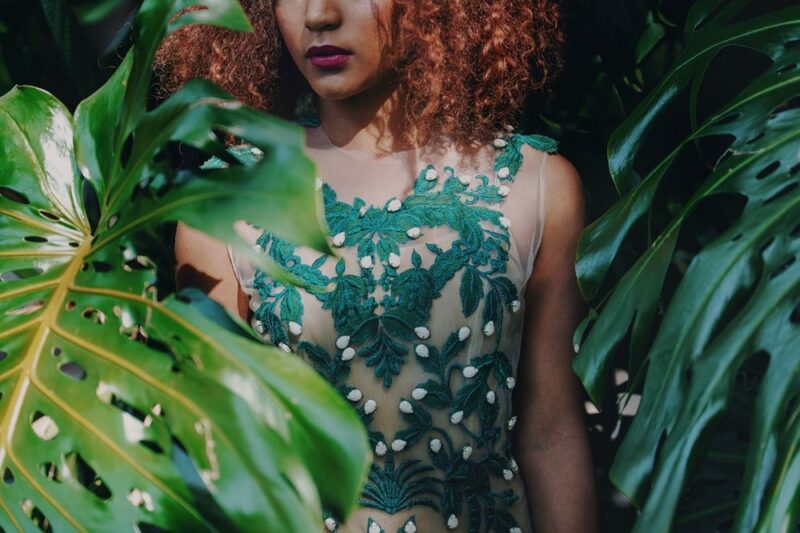 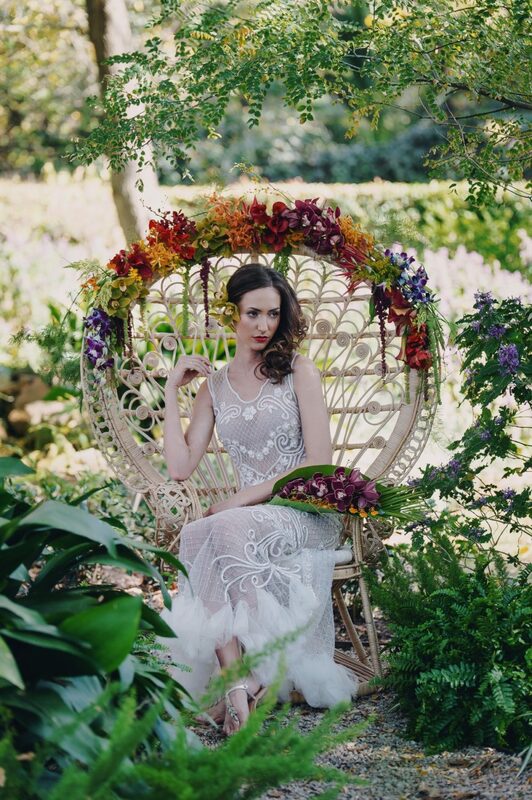 As we decided to focus more on a fine art styled shoot we wanted to be able to play with different dresses and colours to bring out the theme and offer different looks and styles to our brides. 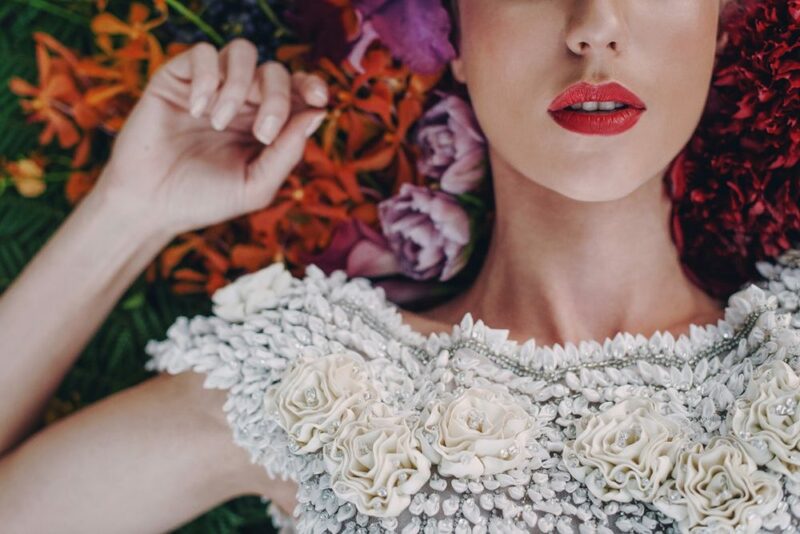 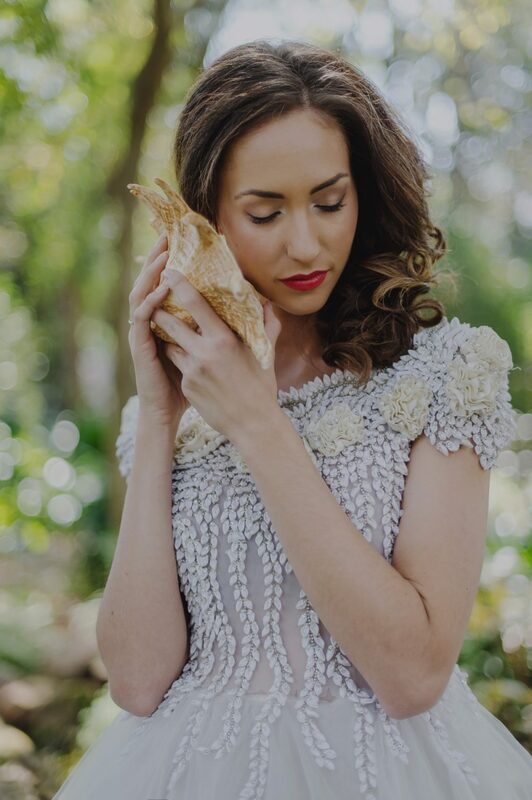 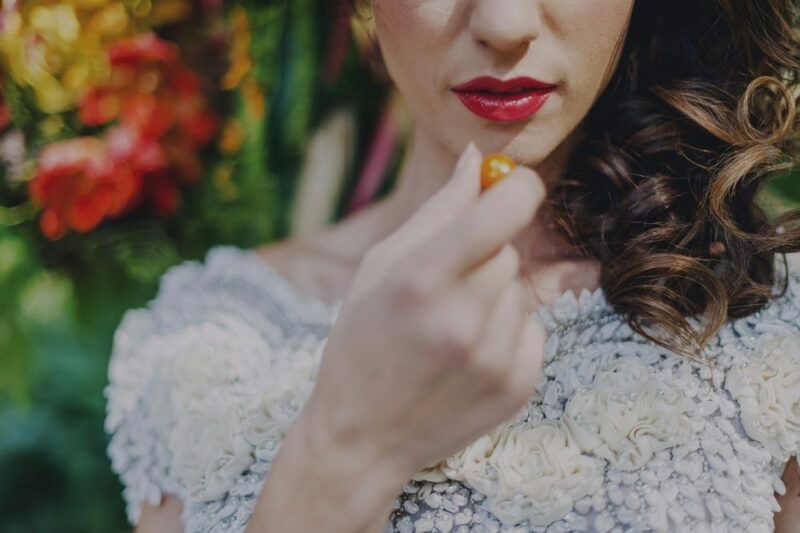 We chose South African designers and dress suppliers Ryan Keyes , Renata Kuzak and Gelique to give us a varied range of dresses. 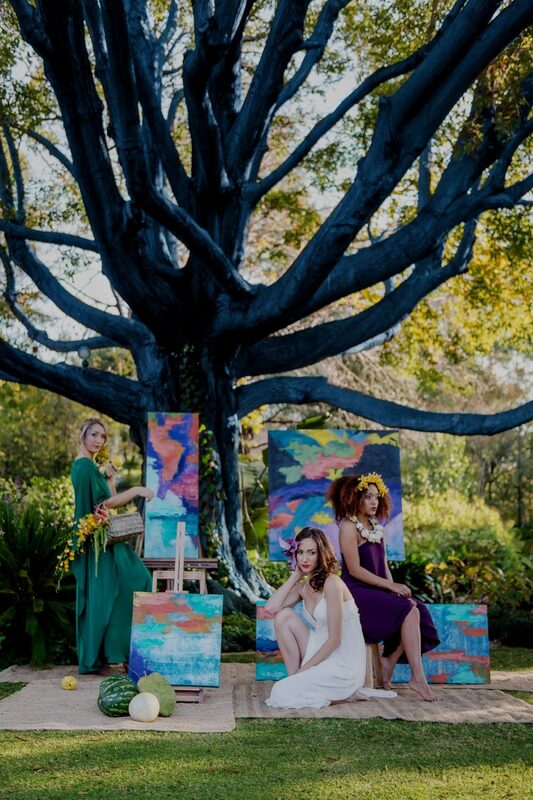 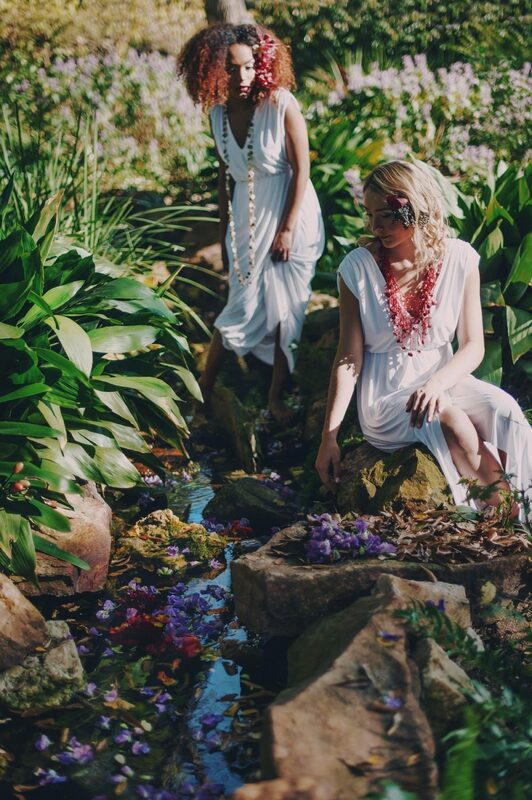 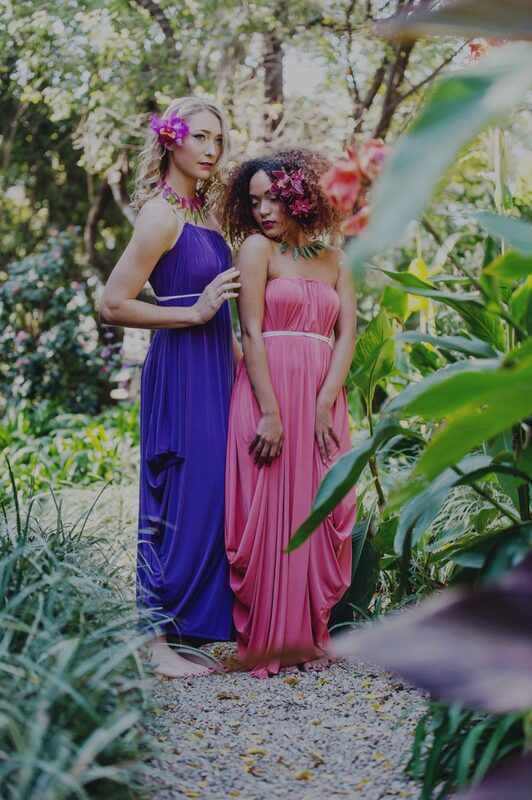 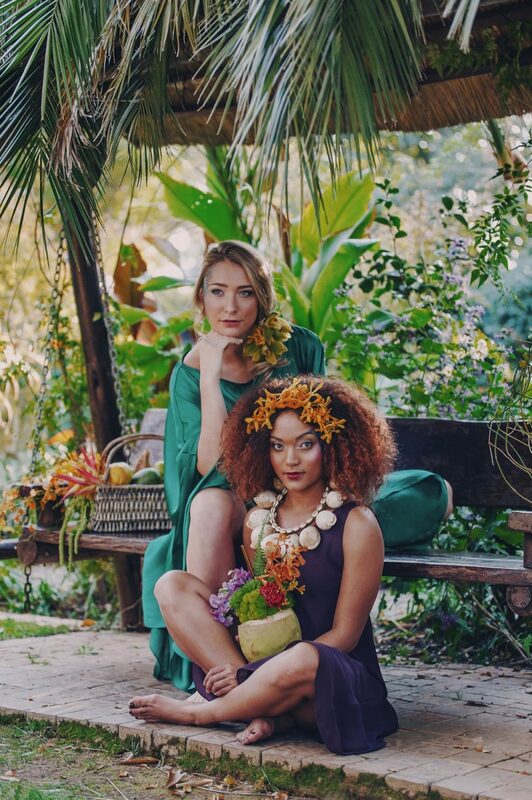 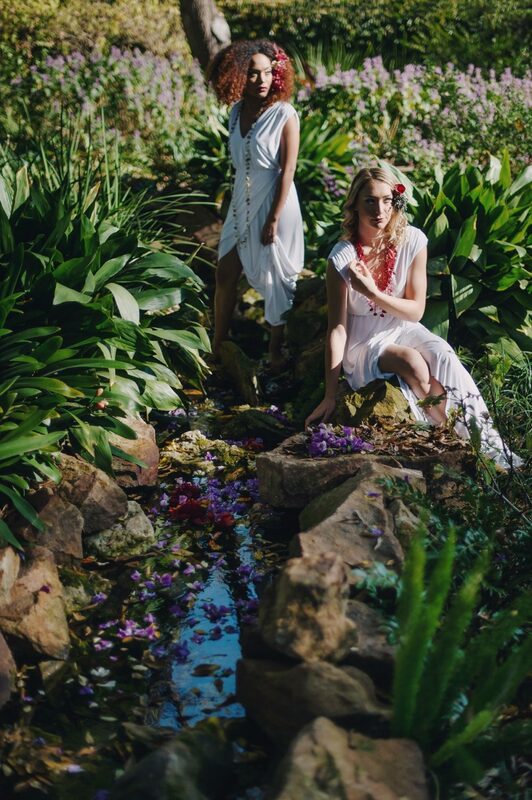 On the one hand the dresses we chose from Renata and Gelique needed to be simple and flowing and depict the simplicity of Gauguin’s paintings and subjects. 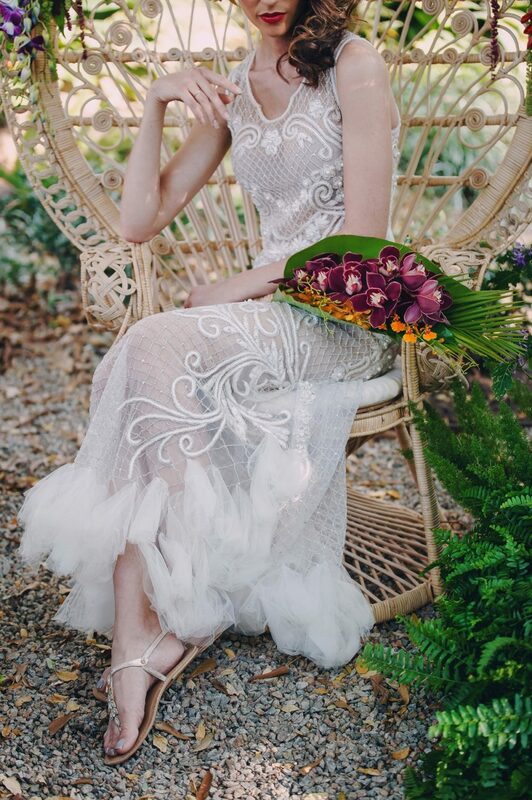 On the other side we also wanted to combine some showstopper dresses for the more adventurous bride. 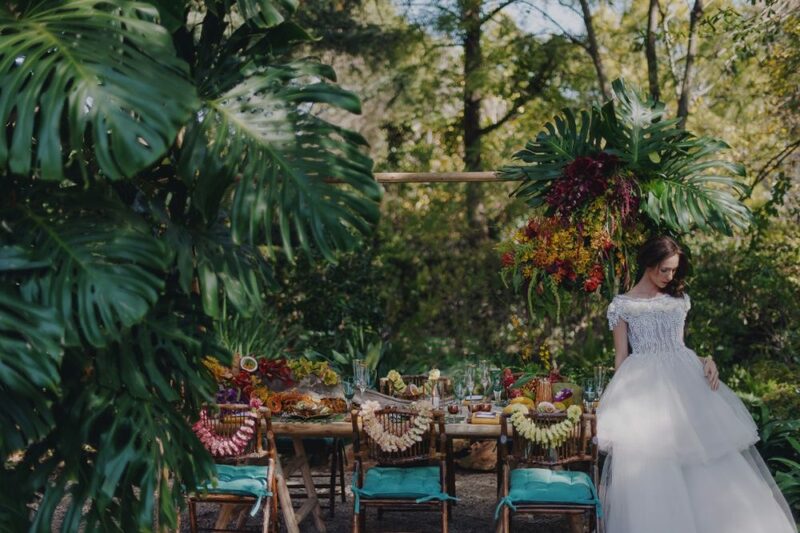 The kind of wedding couple, season and setting this theme would suit. 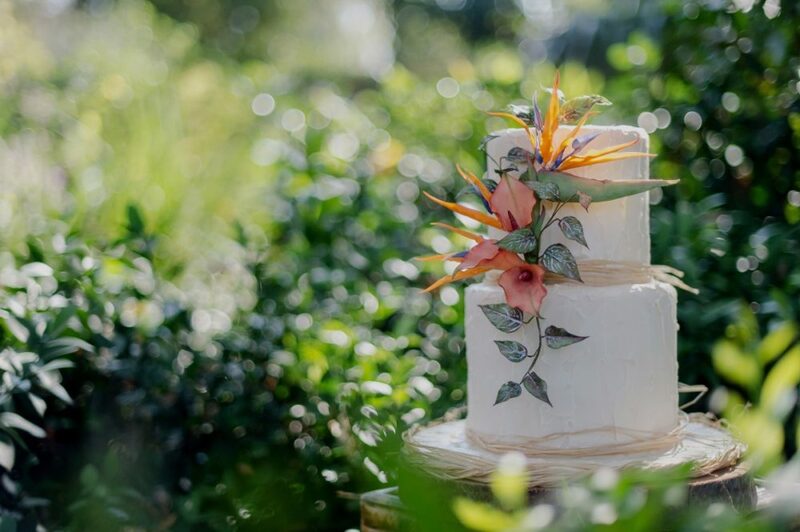 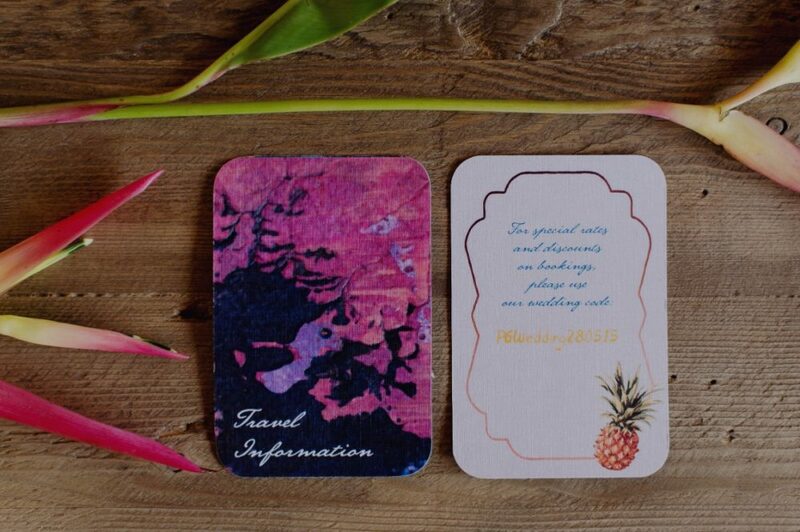 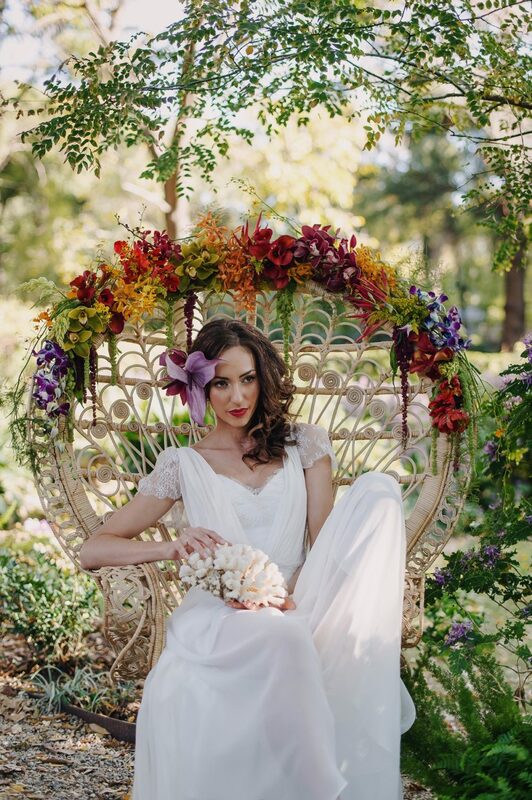 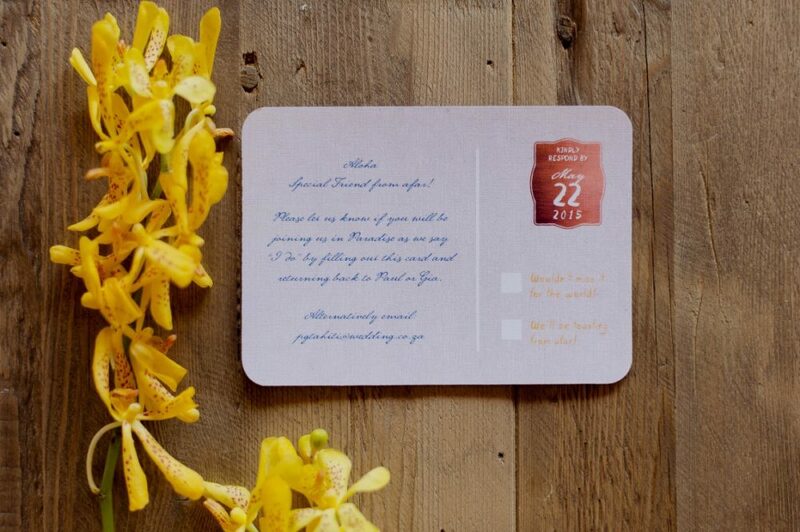 This would ideally suit a wedding couple who enjoy a relaxed summer, beach tropical vibe. 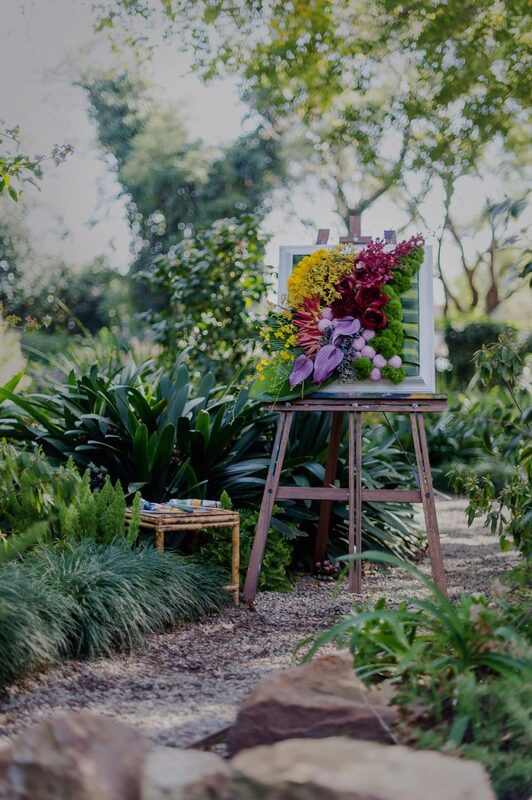 A couple who enjoy and appreciate art would also love this theme. 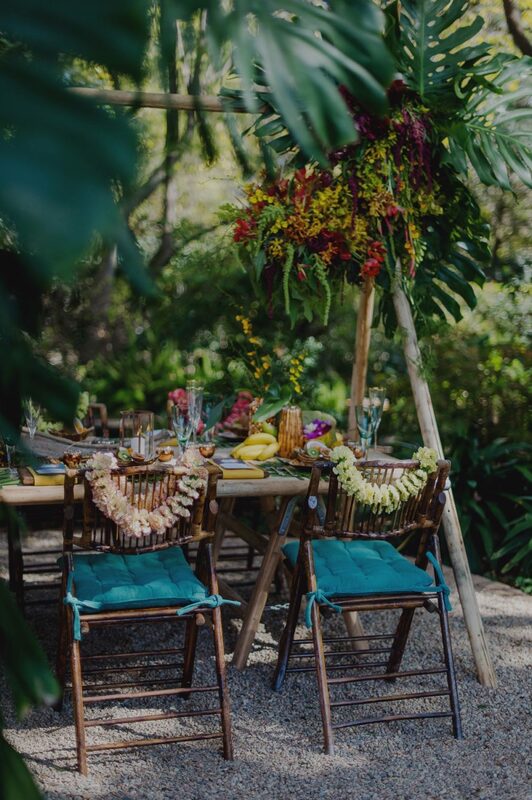 This would be a wonderful theme for a chosen destination wedding to South Africa or the coast and beautiful tropical islands that surround it. 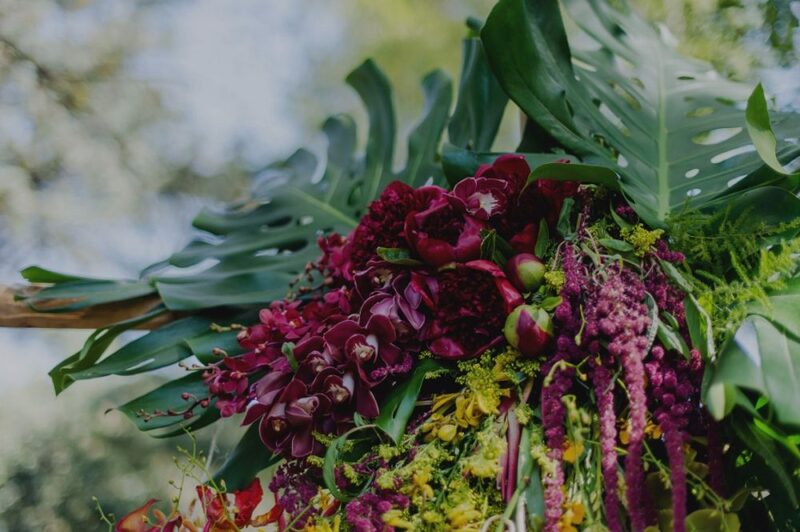 The colours of the fruit and flowers are bright and vivid and really depict Summer in its truest form. 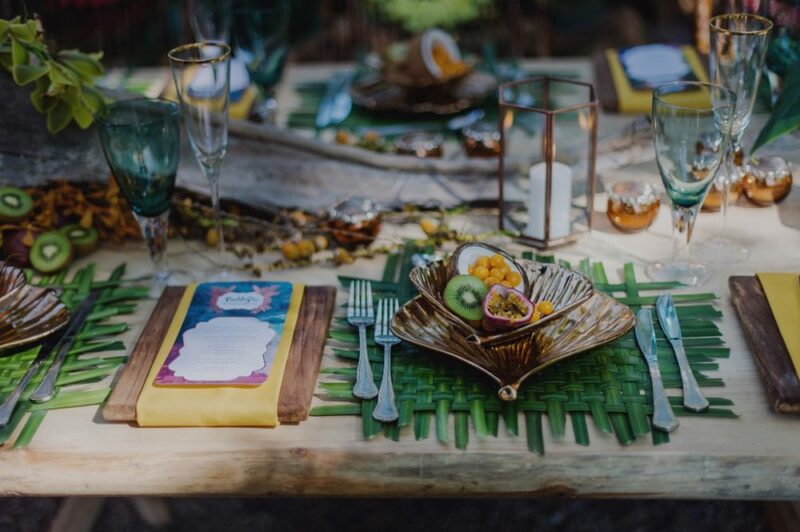 However, you could recreate this theme in spring or even autumn and dream of warmer days! 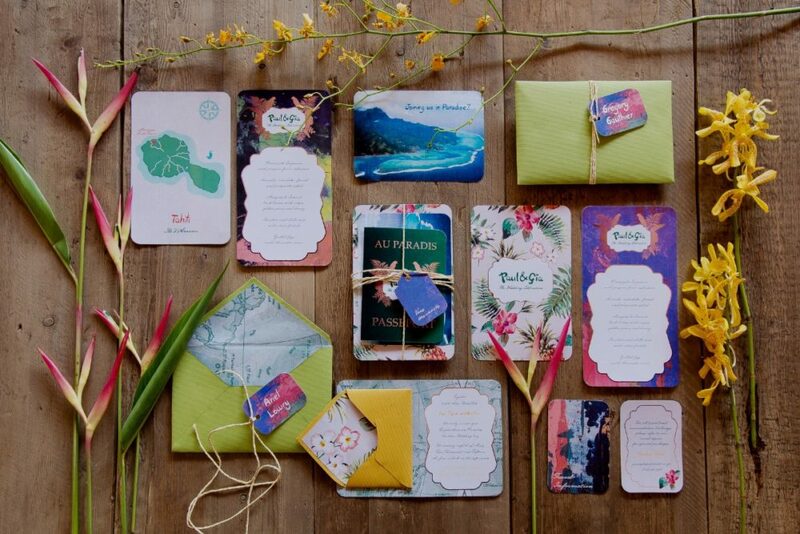 Advice to create a similar theme for your wedding day. 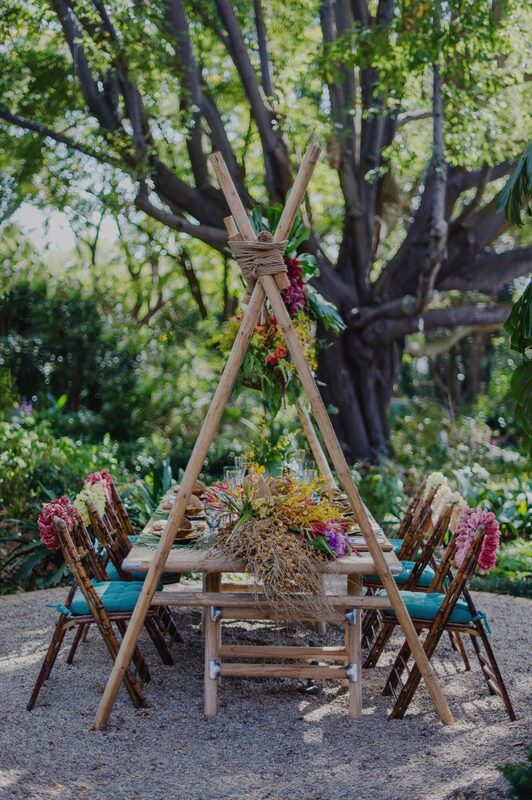 It is important to choose the right venue to suit this theme. 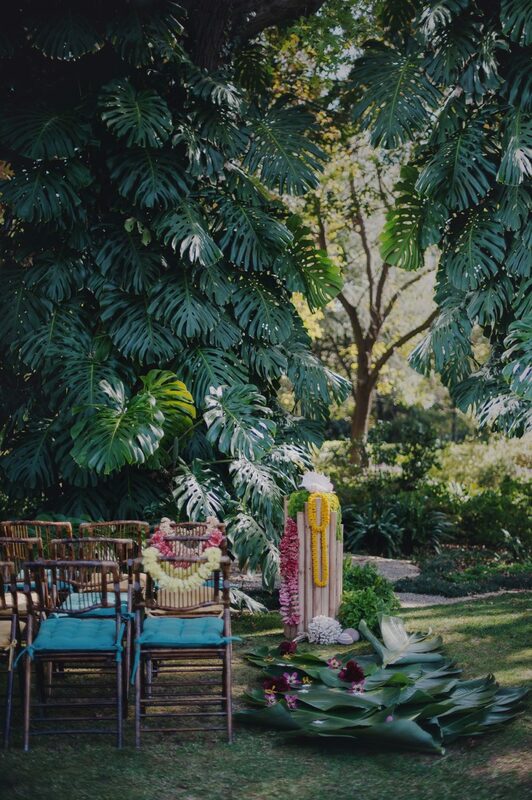 Make sure it has lots of green foliage, streams, rivers, large trees and big jungle style plants to set the scene or simply a tropical beach. 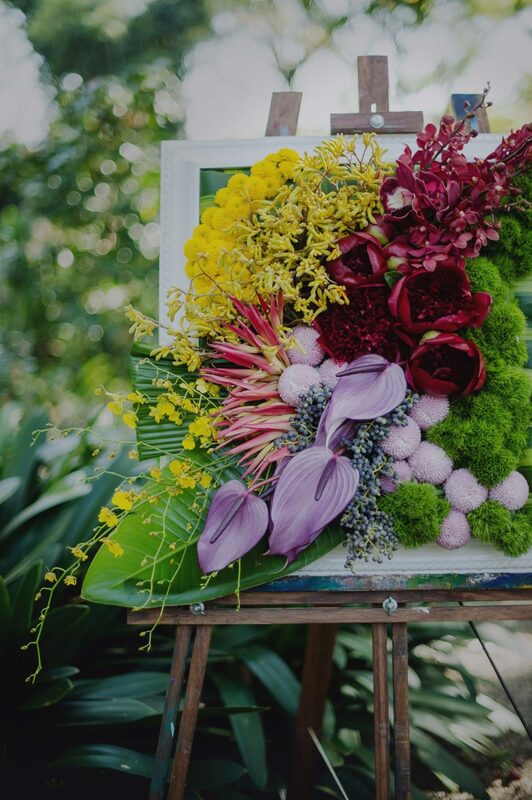 Choose a colour palette and stick to it. 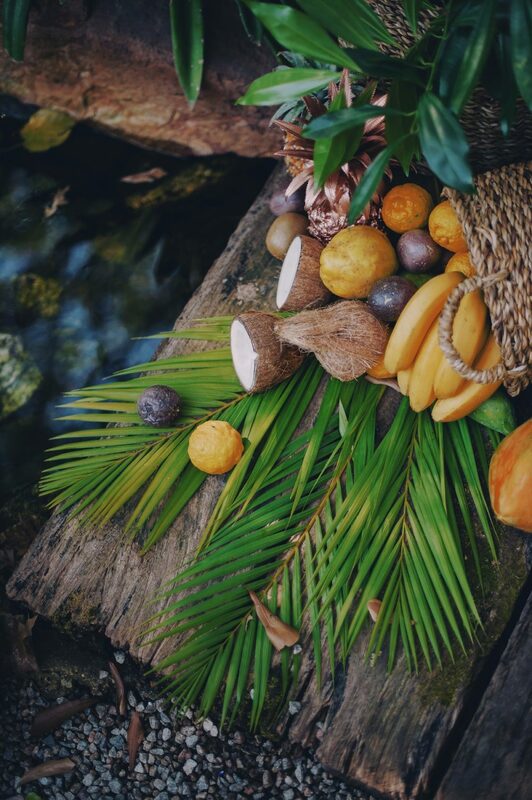 Choose tropical fruit rather than normal fruit. 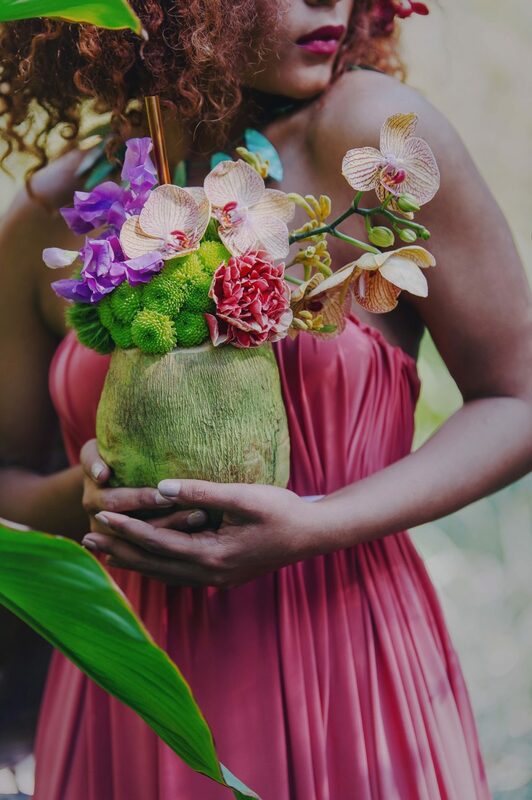 Tropical flowers that are exotic and full of texture, shape and bright in colour. 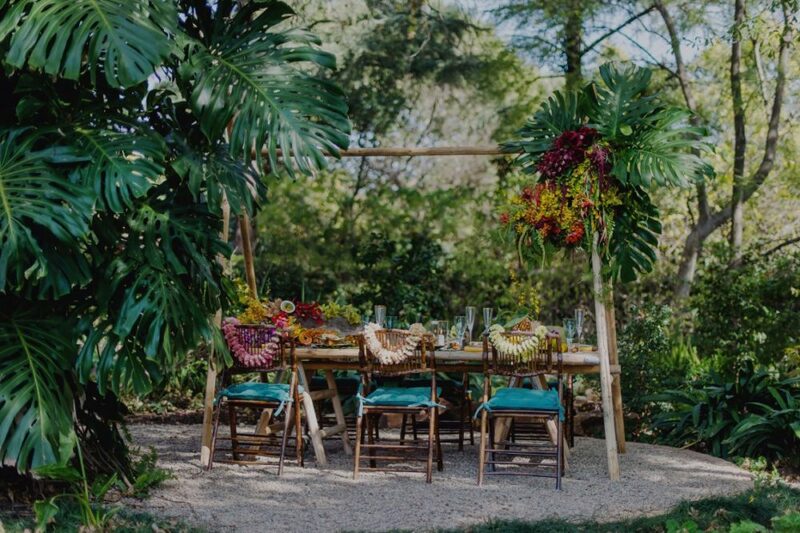 Use large green foliage as the base to your décor and set up. 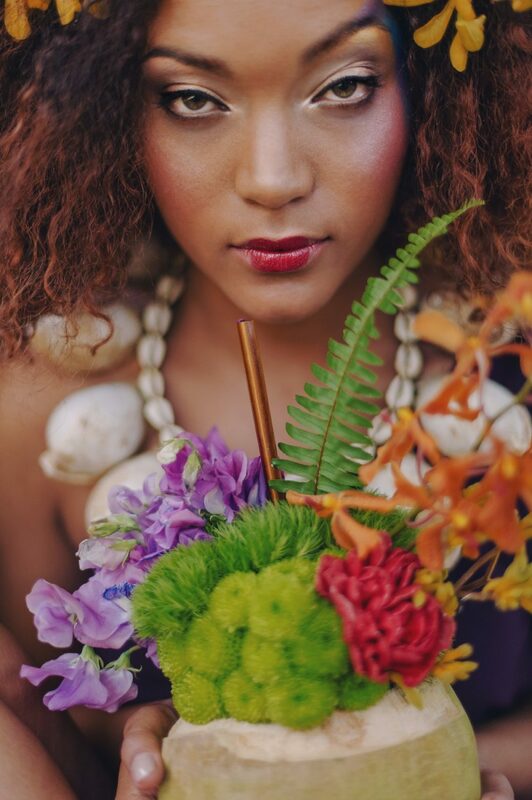 Be adventurous with your makeup! 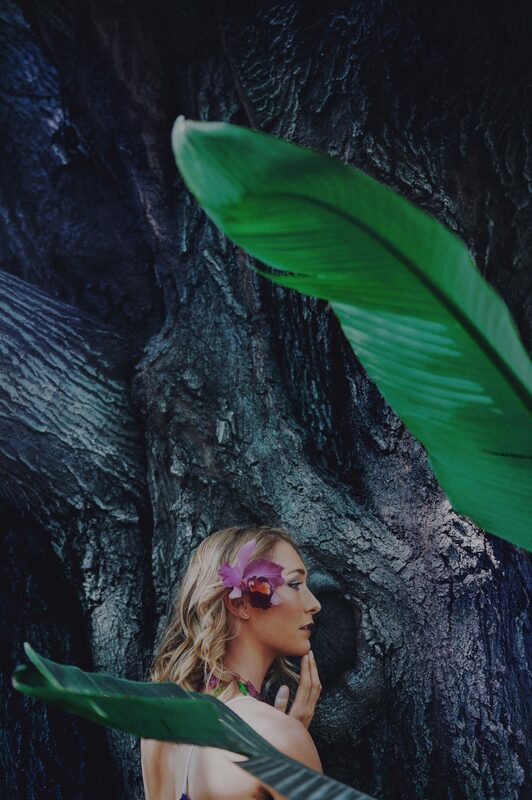 Keep your hair shiny and natural. 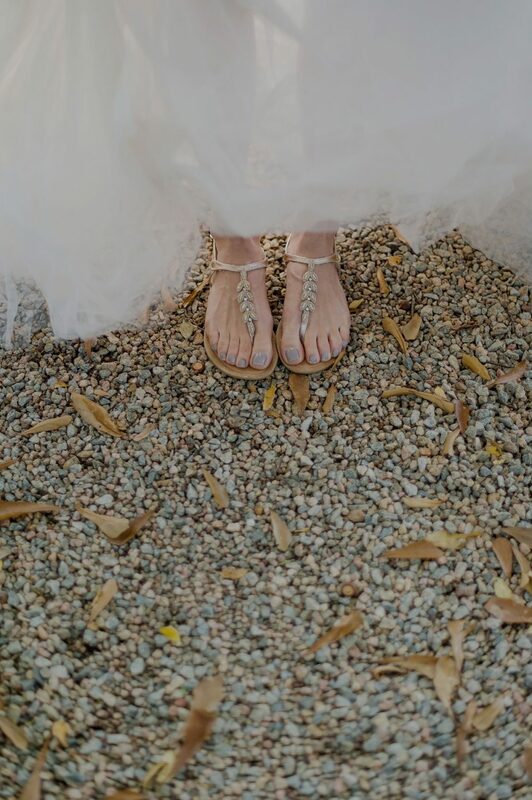 Be adventurous with your dress choice or keep it simple. 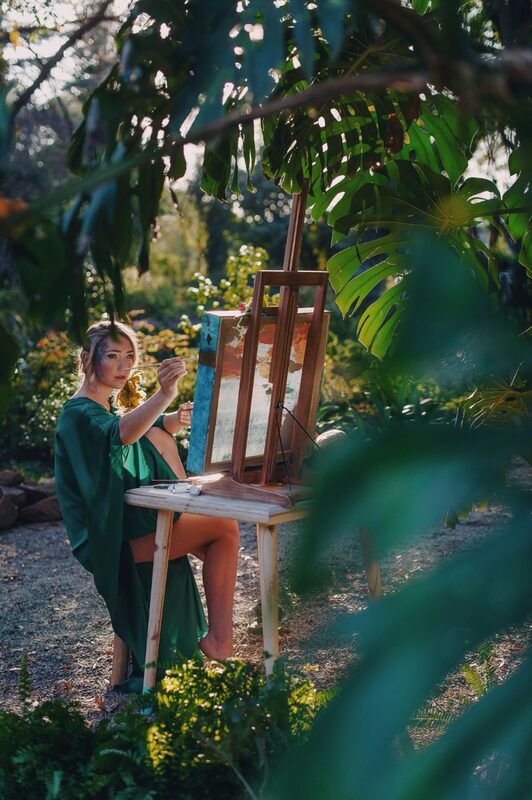 Gauguin was very experimental with his use of colour and by doing so pulled the viewer into the emotion and feeling of the scene as opposed to realistically mimicking it. 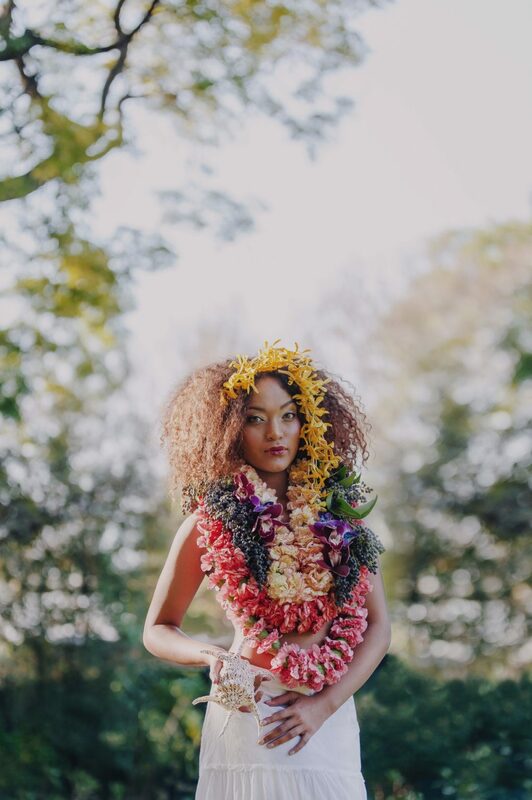 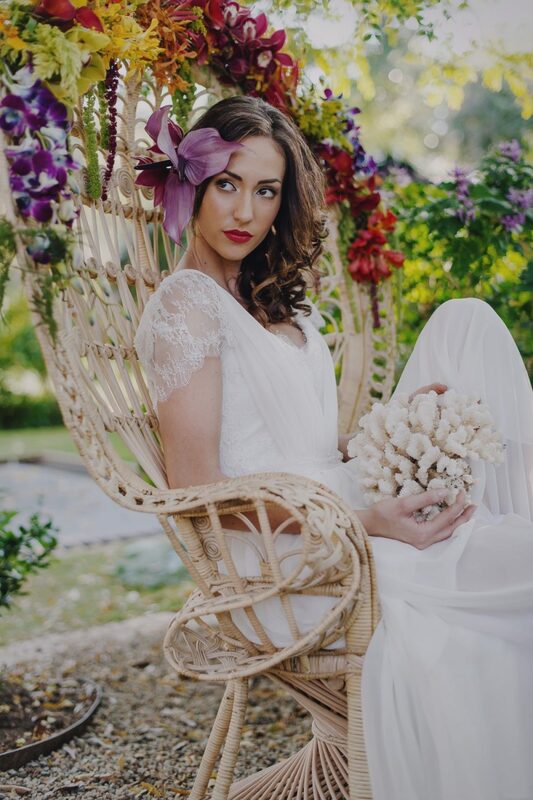 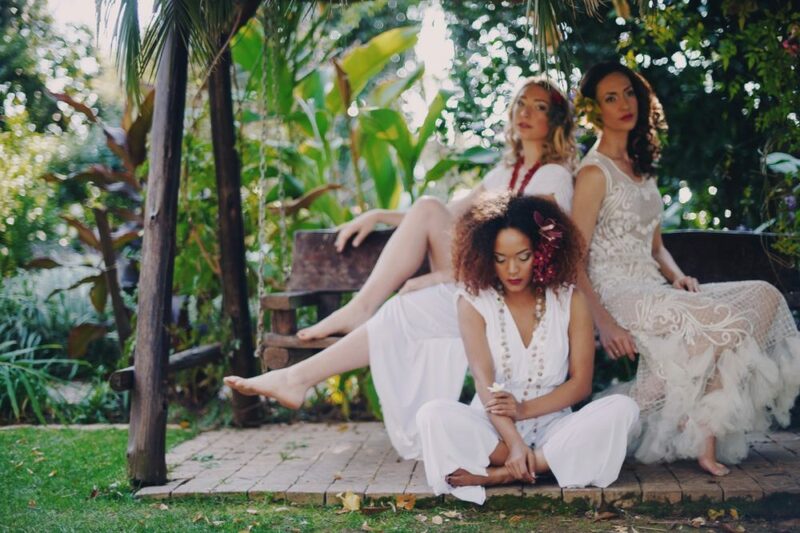 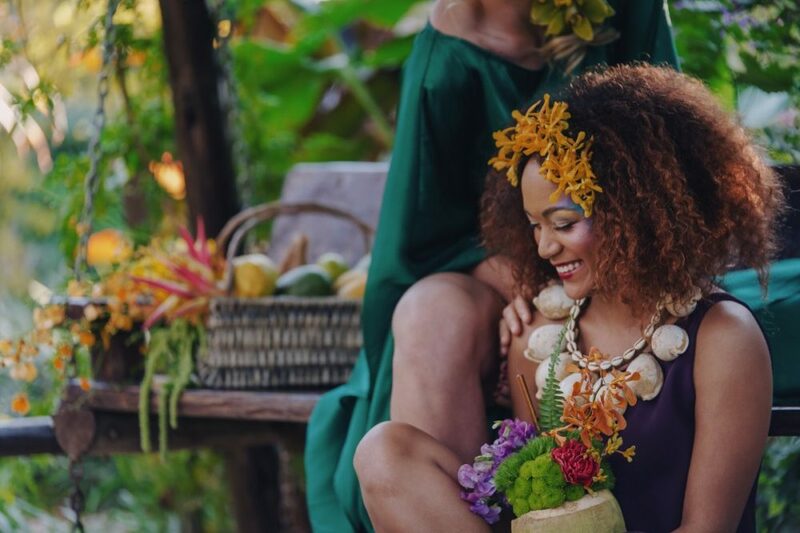 By tapping into his creativity in terms of poses and colour we were hoping to emphasise the mood and feel of the island themed style and highlight the incredible details of the gowns, make up and decor. 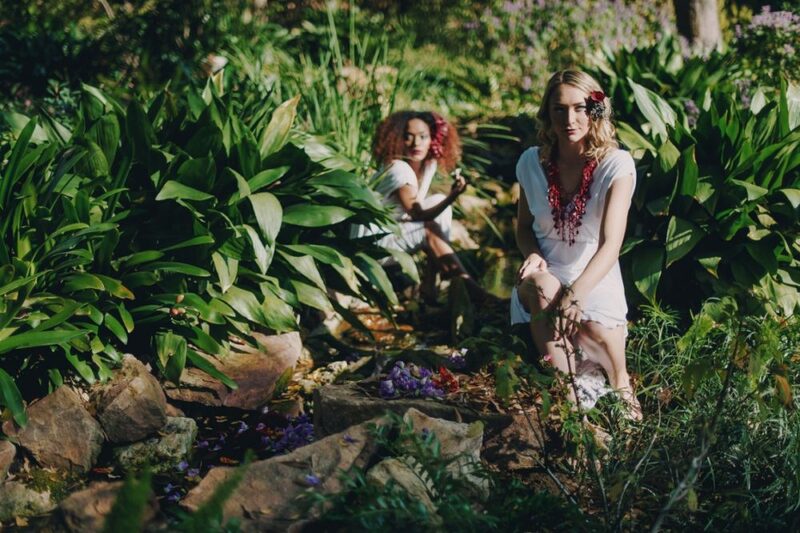 We had a full day of shooting and approached the theme in a very light hearted but ethereal manner. 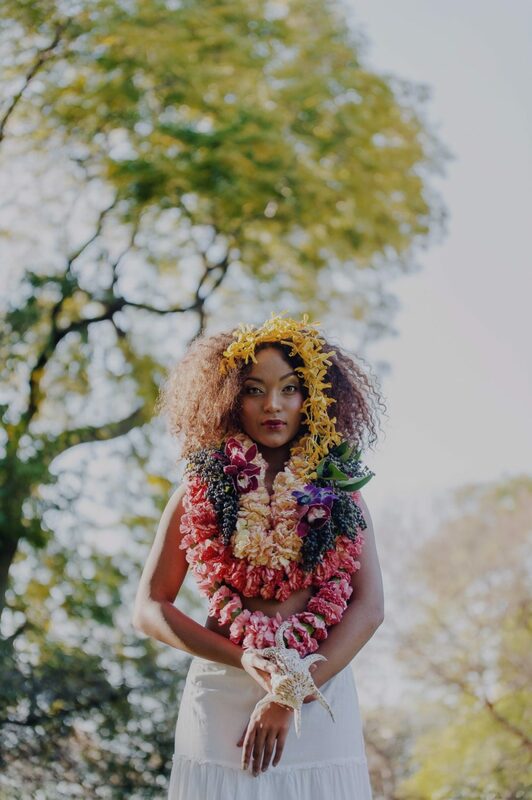 We wanted the models to interact with the environment and each other, very similar to the way Gauguin’s figures interacted with each other in an almost dreamy and affectionate way.